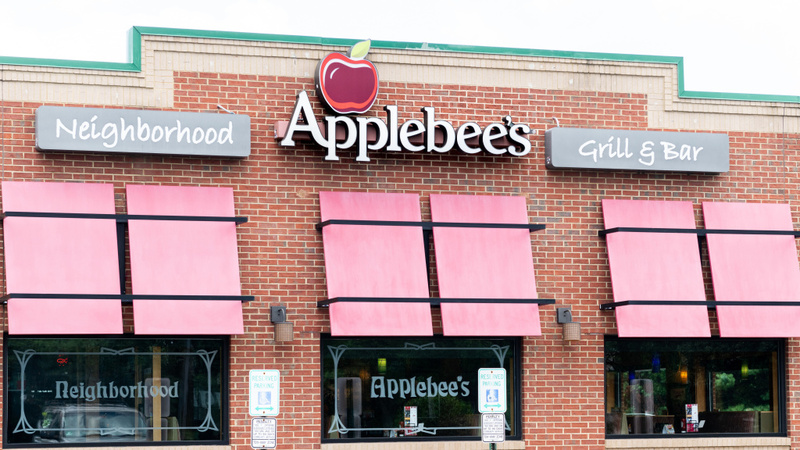 Applebee's is one of the companies to agree to end use of "no-poach" agreements under the threat of a lawsuit from Washington state. Applebee's, Church's Chicken, Five Guys, IHOP, Jamba Juice, Little Caesars, Panera and Sonic agreed to end the "no-poach" agreements immediately at all of their locations nationwide and to stop using the language in future franchise contracts in order to avoid lawsuits over the practice, according to the office of Washington state Attorney General Bob Ferguson. The eight locations join seven others — Arby's, Auntie Anne's, Buffalo Wild Wings, Carl's Jr., Cinnabon, Jimmy John's and McDonald's — who earlier agreed to end the practice under the threat of a lawsuit from Ferguson's office. "Businesses can't rig the system to avoid competition," Ferguson said in a statement. "My goal is to eliminate no-poach clauses in the fast-food industry nationwide." He said the change would affect more than 15,000 restaurant locations that the eight chains have around the country. The no-poach provisions are not signed by the workers themselves, but by the owners of each franchise's location in agreements with corporate headquarters. The franchises agree to not hire one another's workers from different locations of the same chain. That "meant a worker couldn't get better pay or move up the ladder by going to another franchise," NPR's Yuki Noguchi noted. The end result is that franchise locations have less incentive to offer workers raises. "Restricting competition, whether in the labor market or the burger market, violates the state Consumer Protection Act," Ferguson's office said. Companies have said the agreements are meant to protect their investment in training and hiring workers. Alan Krueger, an economist at Princeton University who has studied the no-poach agreements, told Noguchi last month that about 80 percent of fast-food chains use the language in their franchise contracts, compared with about 58 percent in general franchised industries. "I think it's very hard to come up with a sound business justification for this practice, other than reducing competition for workers," he told NPR in July. Ferguson's office said he will continue to investigate the practice at other businesses and he is "prepared to file lawsuits" if companies to do not agree to remove the agreements. Earlier in July, the attorneys general of 10 states and the District of Columbia announced they were investigating the practice at Burger King, Wendy's, Arby's, Panera, Dunkin' Donuts, Five Guys, Little Caesars and Popeyes.